Installing laminate flooring is not always as easy as it sounds. I used to notice commercials on TV showing how easy it is to install, well I don't see them anymore. As an installer of laminate and hardwood floors I thought it would be a good thing to share my first hand knowledge for folks that may be considering taking on this task. 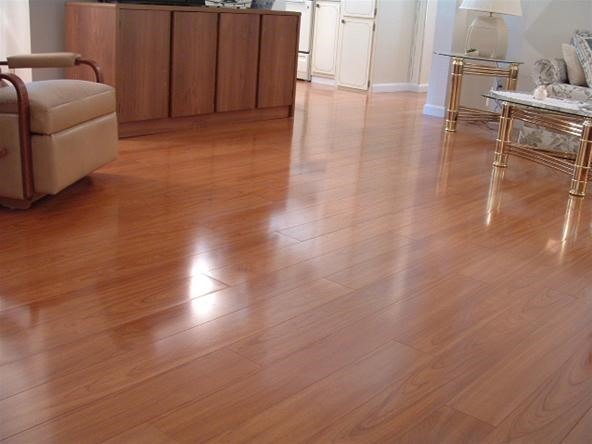 All laminate floors are not the same, There are different locking systems (how the edges join together). These locking systems can make a big difference in the ease of installing the laminate. Believe me I know, as an installer I have worked with products that were very difficult to install. I couldn't imagine a do it yourself-er getting stuck with a product like that. I like to share my knowledge that may help others.